Yesterday, we’ve reported that Nokia revealed Android Tablet N1 and wondered what would happen to Nokia in the future. We’ve mentioned Jolla at the end of the news and at the same time saw that there was countdown on their website which would reveal new product when it reached zero. I joked about them releasing new tablet but it seems that it is no joke anymore. 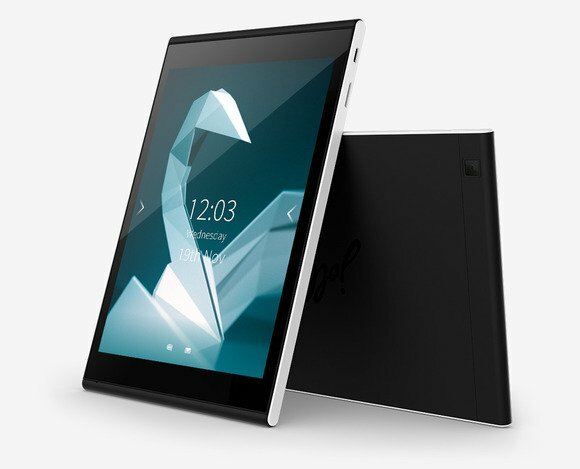 Jolla has announced that they will producing Sailfish 2.0 tablet with a help of their users via crowdfunding campaign. Originally they’ve asked for $380,000, but in less then 24hr’s they have already surpassed their goal and there is still 21 day left until the end of crowdfunding campaign. Sailfish 2.0 is their own custom made OS which can run both applications developed for it and Android ones, similarly to Blackberry’s OS 10. The expected retail price is $249. It looks similar to N1 and both look similar to iPad mini. The front camera is 2MP and the rear one is 5MP. Hardware wise, they are nearly same too. 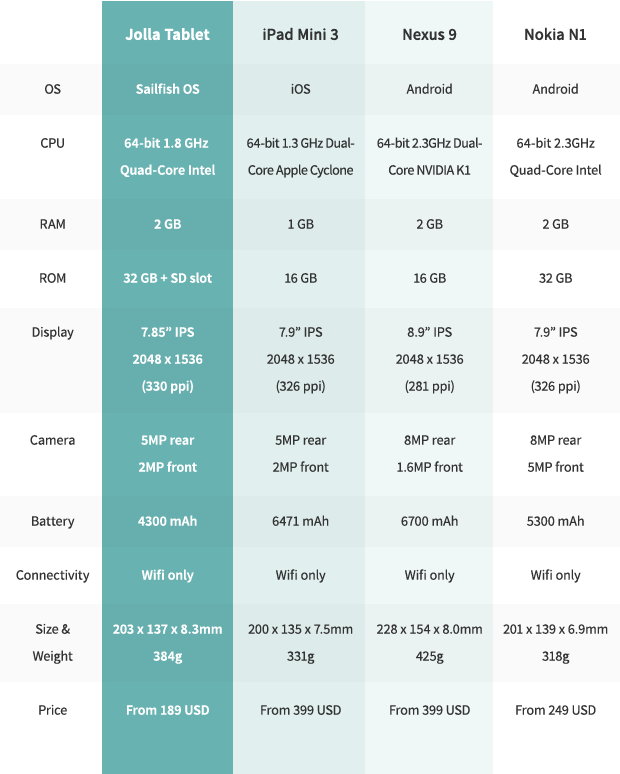 The main difference is that N1 has its speed clocked 2.3Ghz while the Jolla Tablet is clocked at 1.8Ghz. Jolla has battery with less capacity ( 4300 vs 5300) than N1, but if the OS is optimized it wont be noticeable. Jolla also supports 32GB as well but you have an option to add additional SD card to already available memory on board. However the main selling point of Jolla Tablet is its compatibility with Android ecosystem as well their own personal ecosystem. It still remains to be seen if their OS can carve market share for itself, but given that there is a lot of players in Mobile OS market at the moment it will be really hard. Windows Phone had a hard time getting 1% percent share, but for an unknown company and their OS it is even harder. As they mentioned, their main concern is satisfaction of their users. Judging by the time the crowdfunding goal was met, they should focus on building and expanding relationship with their customers, something that they can afford and that will pay them off in the end.